Everybody talks. But there is a big difference between talking and being heard. When we’re heard, we communicate. Is your boss telling you your energy level isn’t high enough, you lack confidence, your voice is too shrill and you aren’t believable? Kiefer Communications can help. How you say what you say is as important as what you say. Read more. When you speak do people fidget, check their emails or pretend to be taking notes as they create a to do list? You may be speaking but they are not hearing you. Read more. Kathryn Kiefer and Kiefer Communications Group teaches people to communicate in ways that are understood by the audience. Whether you are speaking to millions as a member of a news team or privately with employees and stakeholders at your company, effective communication is critical for success. 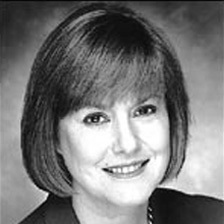 Kathryn has worked in the media for more than 25 years and more than two decades advising broadcasters and organizations on ways to more effectively communicate key messages to key audiences. Kathryn is the only communications consultant in the St. Louis area with a proven track record that demonstrates she knows what it takes to communicate effectively. She has trained hundreds as a talent coach and interviewed thousands of people as a television news reporter and anchor, given hundreds of speeches and made countless presentations. Kathryn doesn’t try to change the way you communicate, just how you communicate. Working with your existing strengths, she uses her knowledge and experience to help you overcome weaknesses. Kathryn’s work with you is based on the real world, not mere theory. Her personal experience means that she knows what it’s like for you to be in front of a camera, on a stage at a seminar or in a group. More important, she knows what you need to understand about communicating effectively and achieving success — helping you translates her knowledge into your success. We provide practical, workable and effective solutions to communications issues, challenges and opportunities. Our client work for clients is all built on our real world experience, not from trying something and hoping it works. Contact us. We’ve worked with a diverse customer base for over 20 years. Contact us.